Soon after NSCN(K) elected its new leader as Khango Konyak, after the demise of their legendary Chairman SS Khaplang, NSCN/GPRN has been facing internal conflict. 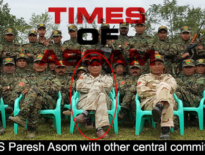 This internal conflict had escalated in recent times leading to a split within NSCN-K into two further factions, one led by Chairman Khango Konyak and the other Pangmi section led by Yong Aung. This had started off with the signing of the NCA treaty by Pangmi section led by Yonghong(Yong Aung). The Khango Konyak faction had accused that by signing the NCA with the Myanmar Government, the Pangmi faction had accepted themselves as citizens of Myanmar. Consequently, the Pangmi faction too tried to throw out Khango Konyak from his chair and eventually he was thrown out from UNLFW too. In fact, in a press release issued by MIP, GPRN of Khango Konyak faction of NSCN(K), it is said that the Pangmi section of NSCN(K) led by Yong Aung had even planned to assassinate Khongo Konyak with support from ULFA(I) and some extremist groups of Manipur with the help of Myanmar Government. The press release also expressed their profound gratitude to NGBF, NMA, ENPO, Yimchunger Tribal leaders, Khiamniungan tribal leaders, Chang tribal leaders, Sangtam Tribal leaders, Konyak Union,Sumi Hoho, Naga Hoho, NSF etc for their enthusiasm for peace and unflinching support and solidarity to the Khango Kanyak faction of NSCN(K). The split is now in NSCN(K) between Nagas of Indian origins vs Nagas of Myanmar origin. Khango Konyak faction of NSCN(K) seems to be interested in lateral talks and a political solution with the Indian Government and this would work for Indian Government too. Earlier, India has the technical complexity of having lateral talks with Khaplang led NSCN, as SS Khaplang was a Naga from Myanmar side of the border. The talks initiated by NMA and NGBF has gained momentum with NSCN and even the Nagaland Government has welcomed them to the discussion table. However, it does not seem all is well. 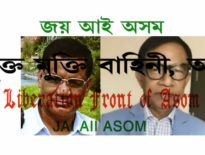 In the recent press release sent by Isak Sumi, the Khango Konyak faction of NSCN(K) has now blamed certain prominent NGO leaders for being supportive to the Yong Aung led section, which according to them creates a disturbance and obstacle to the lateral talks. They have also clarified that the Yung Aung led section and their supporter organizations, individuals and groups do not possess any right to talk about the Naga problems as they have already accepted citizenship of Myanmar by signing NCA accord. The Khango Konyak faction actually went ahead to term the other faction as criminals, anti-peace and anti-Naga, further warning the Naga people, government departments and commercial communities not to pay any tax or to provide any support to the Yong Aung led section.